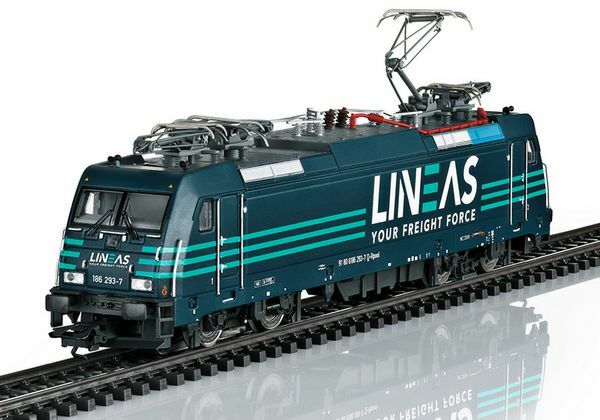 Prototype: Railpool class 186 TRAXX Family electric locomotive, leased to Lineas. Era VI. The locomotive looks as it currently does in real life. 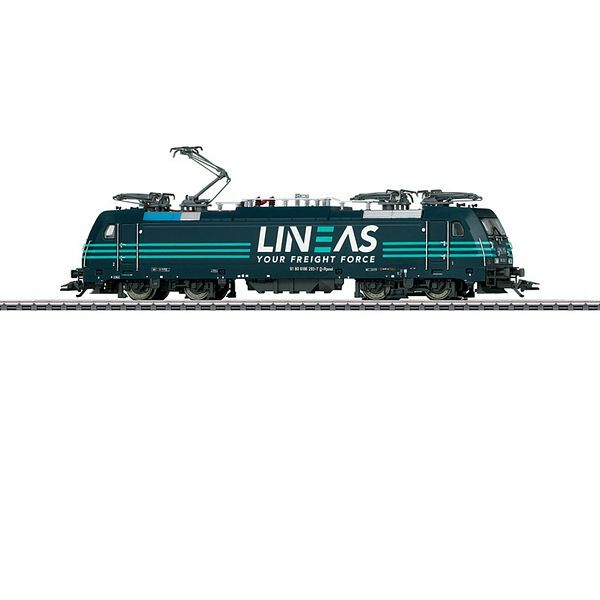 Model: The locomotive has a multi-protocol digital decoder and extensive sound functions. It also has a special motor, centrally mounted. 4 axles powered through cardan shafts. Traction tires. The triple headlights and dual red marker lights change over with the direction of travel, will work in conventional operation, and can be controlled digitally. The headlights at Locomotive Ends 2 and 1 can be turned off separately in digital operation. When the headlights at both ends of the locomotive are turned off, then there is a double "A" light function at both ends. Warm white and red LEDs are used for the lighting. The locomotive has 4 mechanically working pantographs that are not wired to take power. Length over the buffers 21.7 cm / 8-1/2".